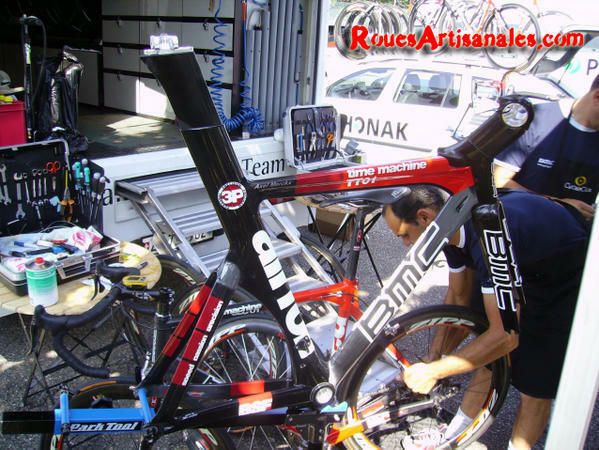 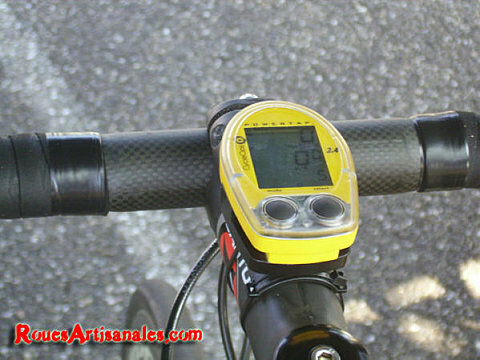 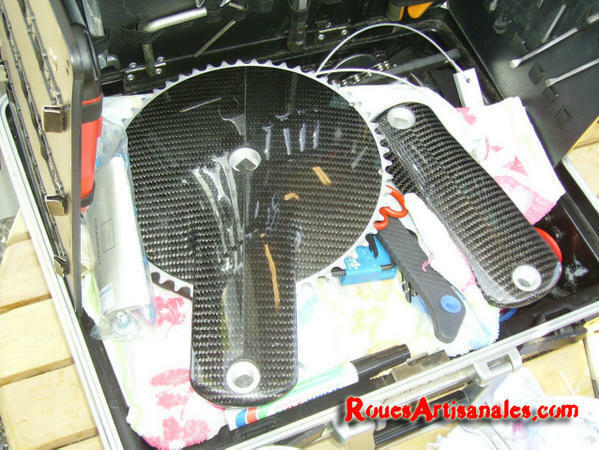 The components used by professionnals teams during the Tour de France 2006 are mostly exclusive. 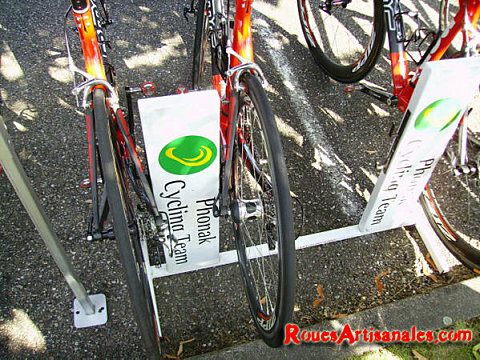 In this first part, we share with you some pictures of the Phonak team Philippe could take at the prologue that took place in Strasbourg. 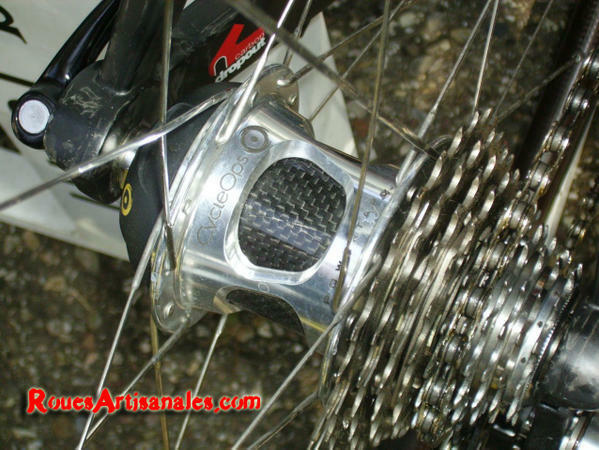 The road bikes equipped with custom wheels based upon Zipp 250, 285 or 360 rims, aerolite spokes and DtSwiss 240s hubs are awesome bikes whose frame uses nanotechnology. 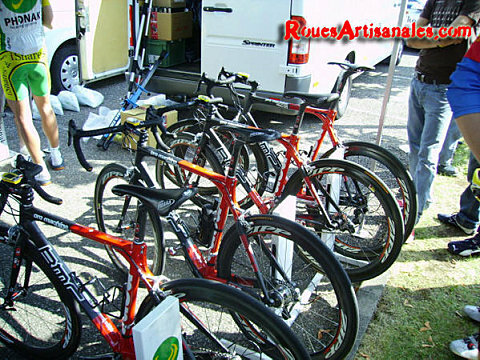 Roues Artisanales already published an article about this frame last year (unfortunately only in french at this time). 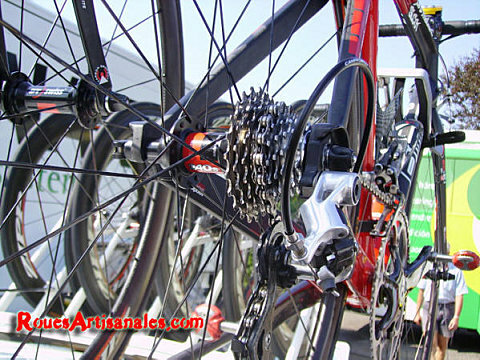 Some wheels are using Powertap hub that gives the rider output power via a comptuter with a basic appearance. 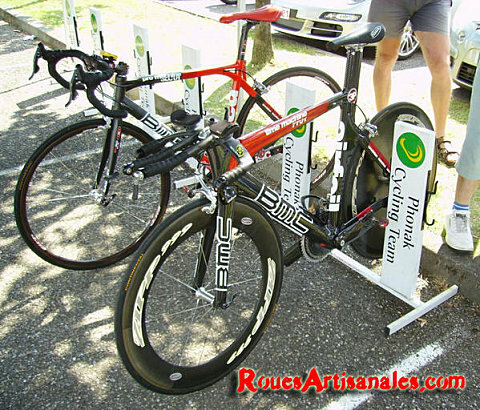 Phonak time trial bikes are certainly amongst the most beautiful bikes of the Tour! 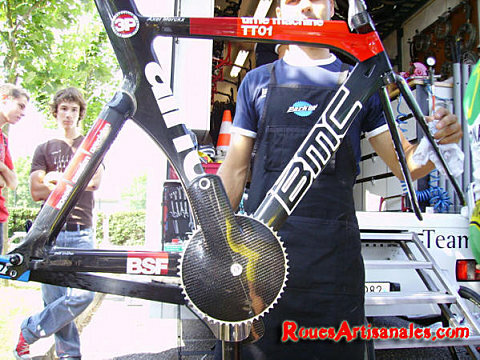 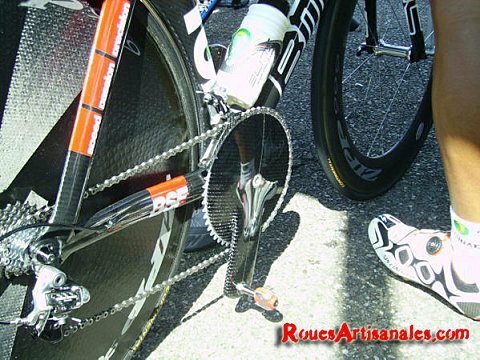 Furthermore the very aerodynamic frame/fork/wheels setup, carbon aero crankarms made by BMC from a Campagnolo Record crankset help the bike to keep a very high speed.